Not since an asteroid smacked Earth 65 million years ago have animal and plant species died out so fast. We have no idea what we're losing. Famous for finding fossils of early humans, the author took up the cause of conservation. Here he champions a global fund for wildlife. A global land rush is gobbling up the space and resources needed for agriculture and wildlife. Only the cockroaches are thrilled. 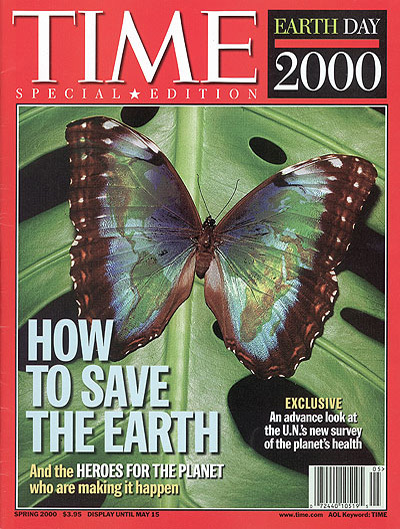 Half a billion of you will help salute Earth Day 2000. Here are ways to lend a hand on the morning after. Dams are responsible for some of the worst environmental tragedies in history. We're starting at last to take some down. Space travel gave us a new look at Earth. Now we need a new sense of time. The bad news is that we have to change our ways--and fast. Here's the good news: it could be a hugely profitable enterprise.